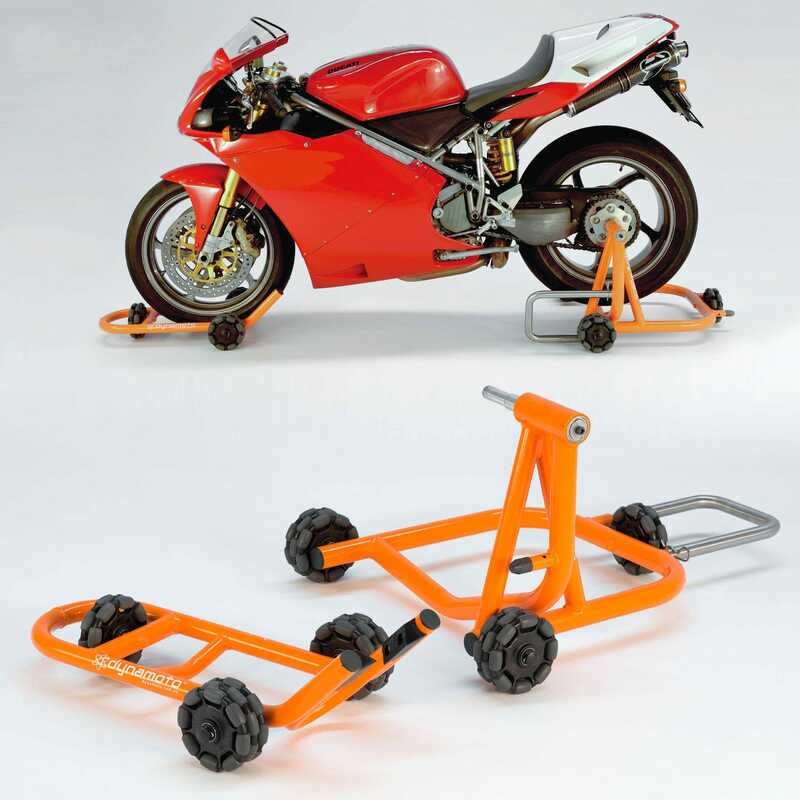 Dynoamoto Motorcycle Stands use 125mm Rotacaster wheels to achieve ultimate movability and to quickly get heavy motorbikes in and out of storage. New Age Industrial now manufactures and distributes a range of Rotatruck branded aluminium material handling equipment. Sold throughout North America, the range includes an aluminium Rotatruck Self Supporting hand truck, Rotatruck Stair Climbing hand truck and Rotadolly. The lightweight aluminium design along with the advantages provided by the Rotacaster omni directional wheel, means that New Age's range allows users to transport heavy loads easily whilst minimising the risk of strain injuries commonly associated with manual handling tasks. The Dogg UNLEASHED BMX Bike is a new stunt bike featuring a double omni directional Rotacaster wheel (or 'Dogg Tail') which provides an omni directional wheel base for a whole new series of different tricks. Most of the stunts performed on the Dogg bike are variations of the mono (commonly known as a 'wheelie') which use the rotacaster omni-wheel as a base allowing riders to perform stunts with confidence. View more images in our custom applications photo gallery or see it in action in our video gallery. 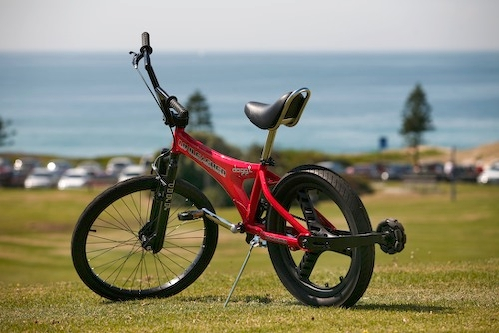 The Dogg Bike is now sold under licence by Momentum bikes and is known as the Mono Bike It is available at Kmart, Big W, Toys R Us and Toyworld stores across Australia. Lateral Engineering aims to systematically increase throughput and reduce waste for manufacturers and that's exactly what they did for Exquisine, a family owned Australian food manufacturer who specialises in dairy desserts for many national quick serve restaurant chains and supermakets. In the case of Exquisine, Lateral Engineering achieved their goal of improved productivity by using omni directional Rotacaster wheels on a freezer trolley. With temperatures at -28°C traditional swivel castors froze up and lacked control in the freezer, however rotacaster multidirectional wheels perform without problem and remain durable and easy to use. See images of the freezer trolley in our custom applications photo gallery or read the Exquisine testimonial for more information. 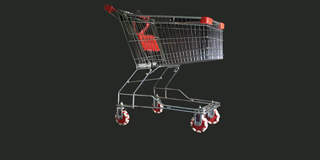 A leading Australian designer and manufacturer, Aussie Trollies provides a wide range of high quality trolleys to everyone from the Australian government down to local libraries, both locally and internationally. While Aussie Trollies produces several standard products for general material handling needs, they also manufacture custom products to meet individual requirements. The custom compartment stock picker (pictured left) features Rotacaster omni directional wheels providing extra manoeuvrability and steering control. As Designers, Developers and manufactures, Direct Soda Blasting Solutions Develop, design and manufacture parts and accessories specifically for the soda blasting industry. Some of which include full Soda Blasting machines and systems, remote valving systems, hi-speed nozzles and our very own, specifically designed moisture resistant soda called Bi-Class Soda as it is in a class of its own. With attention to detail, Direct Soda Blasting Solutions does not compromise on quality. Direct Soda blasting machines have been Fitted with Rotacaster stair climbing wheels to provide extra manoeuvrability and ease moving the 180kg units up gutters and stairs. Do you want to incorporate the Rotacaster omni wheels into your product to give 360° manoeuvrability?